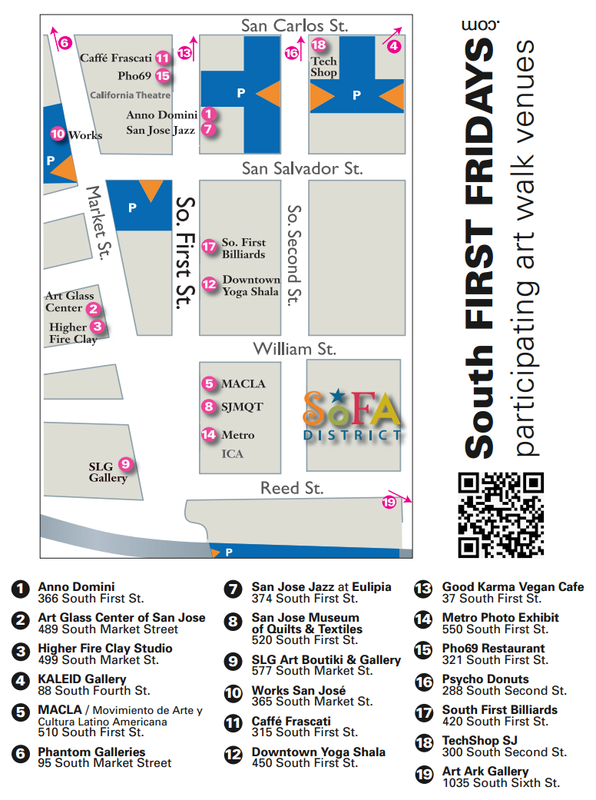 The San Jose Blog: South First Friday Today! The weather should be pretty nice tonight. Great day for an art walk Downtown! Today's South First Friday features 19 different venues open from 7pm-11pm. To see the full list of what will be featured, just click here.